Port is a fortified wine originating in the Douro valley in northern Portugal and it is renowned for being the greatest of all fortified wines. Ports tend to be big, rich wines, high in alcohol, round and smooth on the palate whilst being warm, spicy and powerful on the nose. The Douro valley is the oldest regulated wine appellation in the world dating back to 1756. Although both Chianti in Italy and Tokay in Hungary lay claim to an earlier designated demarcation in that same century Port was the first wine-producing region to strictly enforce its regulations. European law states that Port, or Porto as it is known in Portugal itself, must originate wholly from this delimited area lying within the Douro region. The regulations govern each stage of production, maturation and bottling which are overseen by an organisation called the IVDP - the Institute of Wines of the Douro and Porto. Representatives of the IVDP taste 20 Ports per day, ten new ones and ten previously tasted Ports to monitor standards, and compliant wines are awarded the quality seal which appears on every bottle of commercially available Port. The process of producing port or any fortified wine is similar in many respects to that of regular wine up until about half-way through vinification. The grapes are de-stemmed and crushed, traditionally by foot in stone troughs called lagares, and then moved to fermentation vessels. The process of treading the grapes helps to extract as much colour, flavour and tannin from the grape skins. What differentiates Port production from wine production is that the process of fermentation is halted by the addition of aguardiente, a grape brandy, which brings the alcohol content up to 18-23% whilst leaving un-fermented natural grape sugars in the wine. The liquid is now a sweet, dark wine its sweetness depending on the amount of residual sugar remaining. Thereafter the Port undergoes the maturation process, whereby the liquid is left to settle and for the flavours to develop, in big wooden vats usually for a period of two years for single vintage Ports, after which they are bottled where they complete their maturation. Tawny Ports are left to mature in wood, sometimes for decades, where oxidative processes serve to mellow it making the wine lighter in both body and colour as well as smoother on the palate. Traditionally the Port was then shipped down river to mature in the cool underground cellars of Vila Nova de Gaia, across the estuary from Oporto, to mature in perfect conditions. Recent developments have seen a trend for some producers to age their ports at the Port lodges located in the Douro Valley which has been made possible by new reliable electricity supplies to power air-conditioning plants. Port is usually served towards the end of a meal with either the cheese or dessert course although white Port makes a good apéritif. 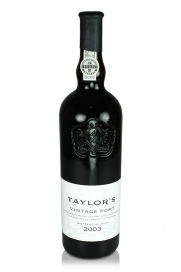 Port also makes a great match for dark chocolate as well as the perfect accompaniment to a good cigar. In Britain tradition dictates that the Port must be passed to the left whilst not touching the table on its journey. It is still the case at some formal occasions that anybody failing to pass the Port on will be asked whether they know the Bishop of Norwich. This question acts as a prompt to do so immediately and anyone unfamiliar with the ritual who answers the question in the negative will be told in no uncertain terms that the said Bishop also forgot to pass the Port! 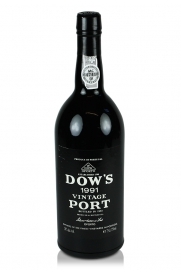 The most renowned port producers include Dow, Taylor Fladgate, Warre, Niepoort, Fonseca and Graham. They produce majestic ports which will age for up to 50 years. Burmester produced a great Port from a truly fantastic vintage throughout the Douro. Traditionally made by treading the grapes. Dow & Co. had a very successful vintage which was particularly firm when young, even for this company, with firm structure, moderately tough tannins and a wonderfully concentrated colour although it has matured wonderfully during its life..
A superb, fully mature vintage Port, now tawny in colour, which is still drinking exceedingly well indeed. This is an excellent vintage Port with a long life ahead of it. Good one to lay down for the future. A classic rich Graham's vintage Port which is still quite opaque with some yellow on the rim. and displaying some mellowed tannins. Complex, mature palate. 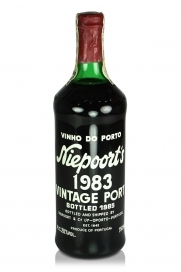 The Niepoort 1983 vintage port is still quite fresh and full of life. Very soft and elegant, the tannins have melted and left behind a port of wonderful complexity. The nose is just as lovely as the palate offering cherries, dark fruits, raspberries, chocolate and caramel. 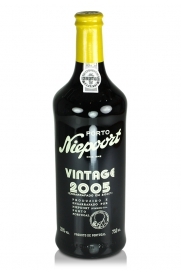 2005 was declared a vintage by Niepoort although many of the bigger port producers decided to release single quinta ports instead that year. A vintage port that merits an 18.5 score with Jancis Robinson, who confesses to rarely giving more than 18 points, is a very good port indeed. 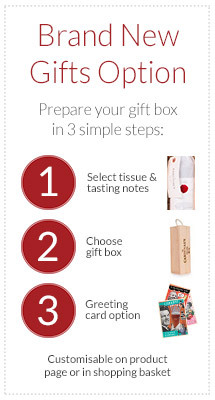 As it is very young, we would recommend giving it another 10 years or so before popping the cork. A wet winter followed by a perfect, hot summer in the Douro created ideal conditions to produce Port with near perfect balance. This powerful and tannic vintage Port has a long life ahead of it yet as it continues to evolve in bottle. 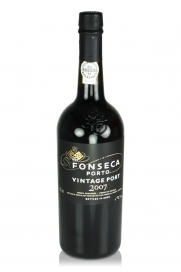 An exceptional Port from the 2004 vintage available in limited quantities only. This port is a spectacular show-stopper. Plums and cherry fruit with violets, herbs and chocolate woven together in this rich and complex Port. Produced from the fruit of a single quinta or wine estate in the Douro. It is a rich, full-bodied Port with power and a rather dry character but which nevertheless is elegant and soft with flavours of chocolate and licorice. This is quite possibly the best Port produced in what was a very successful vintage in the Douro. Great concentration and intensity. 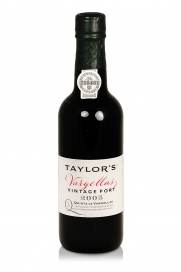 A very hot year in the Douro which Taylor's coped with with ease to produce this stunning vintage Port. 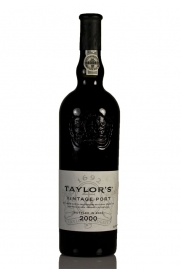 A great Port with a long life ahead of it. 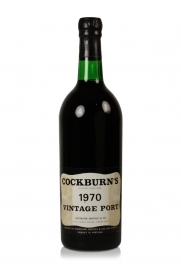 1970 was a classic Port vintage and this example is a more elegant wine than is usually the case for Cockburn's. 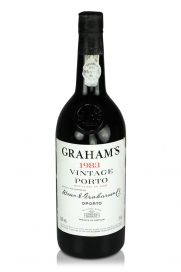 Robert Parker describes this Graham's port as "the undisputed star and kingpin of the 1985 vintage ports" he goes on to say that it is "a fabulous wine because of a dazzling level of black-cherry fruit, an enormous structure, and staggering depth, dimension, and length." This is indeed an exceptional vintage and it is drinking incredibly well now. 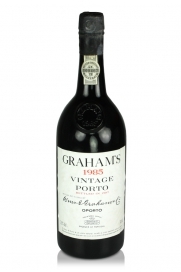 The 1983 Graham's vintage port has great depth and a palate of incredibly ripe, lavish fruit. Notes of plums come to the nose from the intense black-purple port and the palate carries smooth tannins leading to a fantastic finish. Viscous and ripe, this is a great vintage port which is drinking very well now. 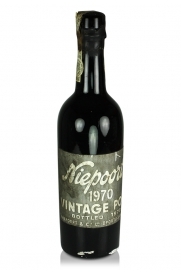 Niepoort Vintage Port 1970 is the sort of bottle that really makes an evening complete. 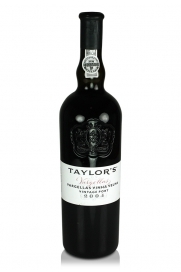 It is an incredibly dark and dense vintage port with complexity and real elegance. Still dense in colour although showing yellow at the rim it is a very well-balanced vintage port with fat fruit and great concentration on the palate accompanying rich and sweet cherries, dried fruits, figs and raisins which dominate the nose along with hints of coffee and black tea. 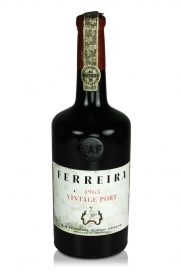 A vintage Port with great depth and opacity with a licorice edge to the fruit profile. Tannins still very much in evidence, this was one of the best Port wines of the vintage . 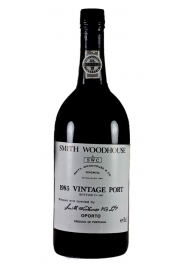 Smith Woodhouse's 1985 vintage port is beautifull mature, light ruby-cloured, full-bodied port with a fragrant nose of back cherries, prunes, raisins and dried figs. 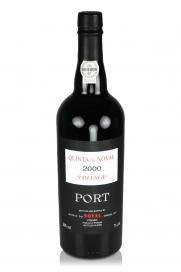 Single quinta Port combining elegance, richness and sweetness. Enjoy until 2030.